In the summer of 1939 Bader, aware that war was inevitable, set out to rejoin the RAF. He easily passed tests at the Central Flying School and then undertook a refresher course before joining No.19 Squadron in February 1940 at Duxford. 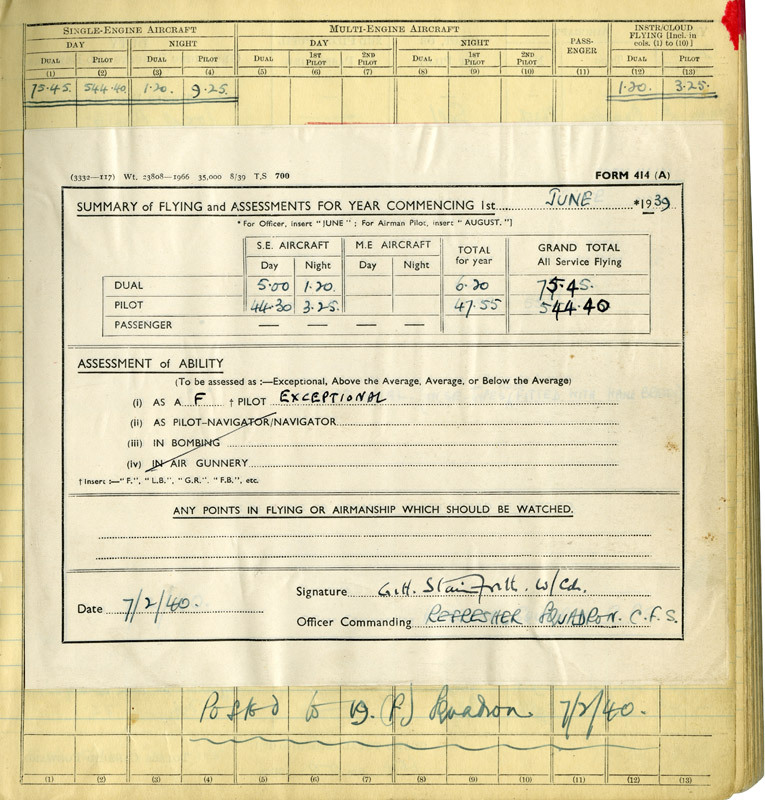 Here he first flew the Supermarine Spitfire, undertaking convoy patrols but without seeing action. A posting to No. 222 Squadron, also at Duxford, brought action over Dunkirk in June 1940 and on the 24th he was promoted to squadron leader and given command of No. 242 Squadron at Coltishall. The squadron had suffered heavy casualties in the Battle of France and morale was low. Bader immediately transformed his unit, concentrating on improving his pilots' flying, teamwork and confidence. The Squadron's first major success came on 30 August when they claimed 12 enemy aircraft, of which Bader shot down two. As the Battle of Britain progressed Bader led larger formations, with 242 and other squadrons forming the Duxford Wing. By the end of 1940 Bader's squadron had shot down 67 enemy aircraft, for the loss of only five pilots killed in action. 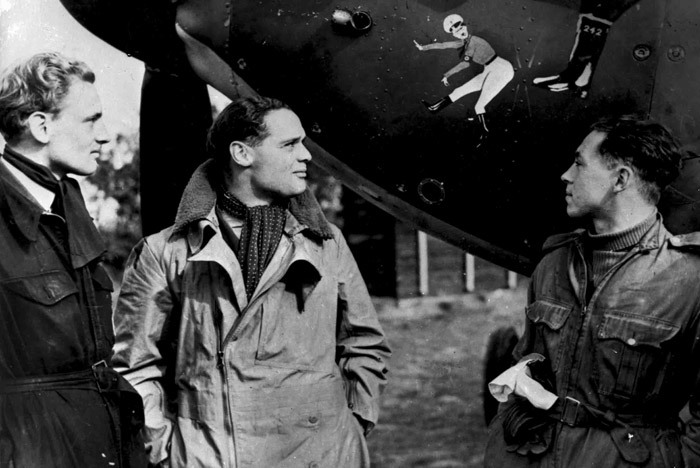 In March 1941 Bader left 242 and was promoted to lead the fighter wing based at Tangmere. The RAF now mounted daylight raids on occupied Europe, with bombers escorted by large numbers of fighters, to draw German fighters up to be attacked. 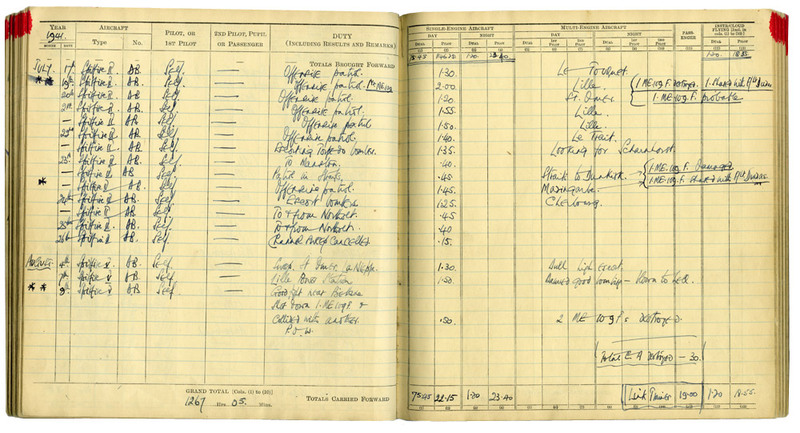 Bader's score rose to 20 confirmed as destroyed (plus two shared) but on 8 August he was forced to bale out of his Spitfire. 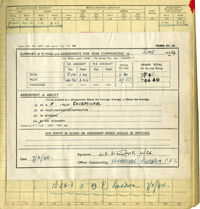 He recorded in his log book "Shot down 1 Me 109F & collided with another. POW" but opinions vary, and a more recent investigation suggests that he may have been the victim of friendly fire.